Is there every enough math practice? I guess that depends on who you ask and their feelings about math. So I’ll try again. Is there every enough FUN math practice? I say NO! 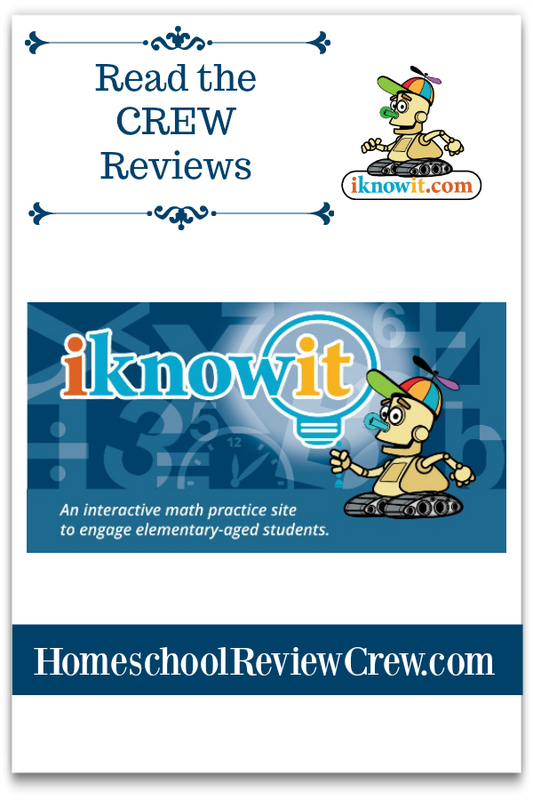 My daughter has been getting fun math practice with a new online program called I Know It. I Know It is a great web-based math program for children in kindergarten through fifth grade. It is a very well organized and fun program that I think kids and parents can appreciate. It is easy for the teacher or parent to assign the student activities and to asses progress. It is even easier for parents/teachers to pick out just the skills a student needs to focus on and choose just those activities. Or, students can pick and choose exactly what they want to work on all on their own. How wonderful is that? Flexibility, that’s the key to winning over this mother’s heart. This website offers programs for home use or for teachers and public schools. It should be noted that this program is very aligned with common core standards. Depending on your feelings about such things this may be a plus or a minus for you. Students can work at their own pace. If they are ever stuck on a problem they can get hints with just a click of a mouse. After each problem, a student is given instant feedback and information about whether their answer was right or wrong and how to fix it. When the student gets a question correct they get to see a great little guy dancing in the corner of the screen. Our family was given a family membership which allows you to have one parent and four children using the program. Setting up the parent account was very easy. Once that is done you set up sub-accounts for each child. The parents get to choose the level for the student but the student is free to work on other levels, jumping around as needed. I love that. A 5th grader just might need a review of some 3rd-grade math concept and this allows that review to happen easily. Assigning specific lessons and designating how many practice questions or how much time the student how to work the program is very easy. Or the student can pick and choose for themselves exactly which topics they want to work to on. I used this program with my 3rd grader. She used I Know it about 3 times a week on average. I chose to assign her topics to study. Once that was done she was able to navigate the program on her own easily. She appreciated the graphics, the dancing figure when she got something right, and the instant feedback. If she got an answer wrong then the program would show her exactly what she could have done to get it right. Overall my Joyanna really enjoyed the program. It felt a lot a game to her. It is the perfect supplement for the math program she uses every day.